In 2015, Dalrymple Gravel & Contracting expanded into the Texas market and opened a shop and office in McQueeney, Texas. 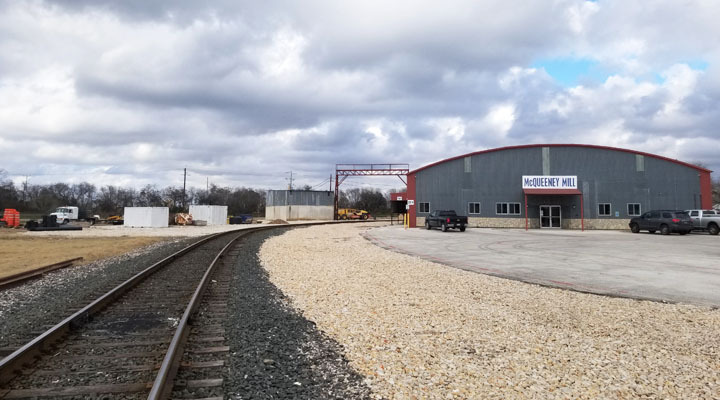 Utilizing over 100 years of experience in the New York and Pennsylvania markets, Dalrymple Gravel is now completing construction projects in the San Antonio and Austin areas for TXDOT and other public and private owners. Follow I-10 E towards Seguin. Take exit 604 for Farm to Market 725 toward Lake McQueeney. Head North on FM 725 for 2 miles, then take a right to head east on FM78. The office entrance is on the left just past the railroad tracks. Follow I-35 towards New Braunfels. Take exit 189 for TX-46/TX-337/Seguin/Boerne. Head East on TX-46 towards Seguin for 8 miles. Turn right onto Rudeloff Road, then another right to head west on FM78. The office entrance is on the right just before the railroad tracks.